I used the Zoo Review stamp set by Stampin Up to create the row of Zebras. The sentiment is from the Pink by Design Jungle Fever stamp set. I used Cajun Craze and More Mustard (retired) cardstock from Stampin Up! The pattern paper is from an old Recollections Night and Fall stack. I really like how this turned out! I'm Wild about this card! Love the colors! Such a great use of the sketch! Wonderful card! Glad you joined us this week at FMS! Great use of the sketch! I love how you turned it on its side. 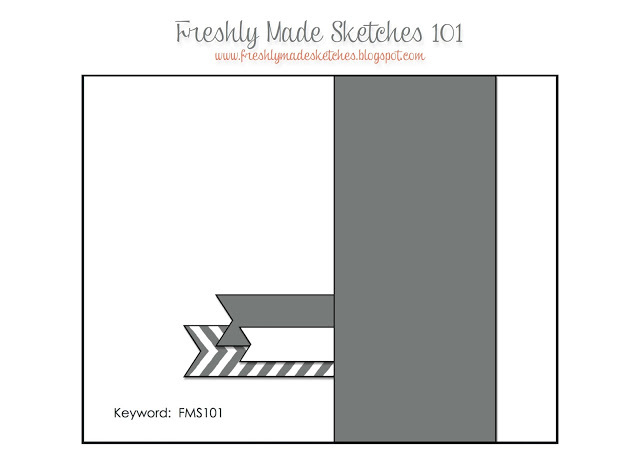 Thanks for joining us at Freshly Made Sketches this week!